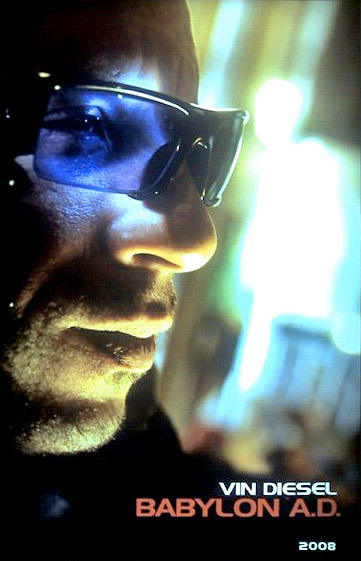 Vin Diesel wearing Oakley ROKR in Babylon A.D. 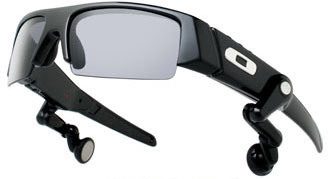 The Oakley ROKR can stream music wirelessly from your iPod and plays it through your sunglasses. Built-in speakers give a crystal clear sound. A unique pair of sunglasses, still available but with a slighty different design than the originals worn by Vin Diesel. These cool multifunctional glasses are not available anymore, except sometimes on eBay.